How do you get the largest amounts of green electricity where it’s most needed in a efficient and cost-effective way? This is a question Urban Joelsson, today chairman and CEO of Flowocean, for a long time have been working on. 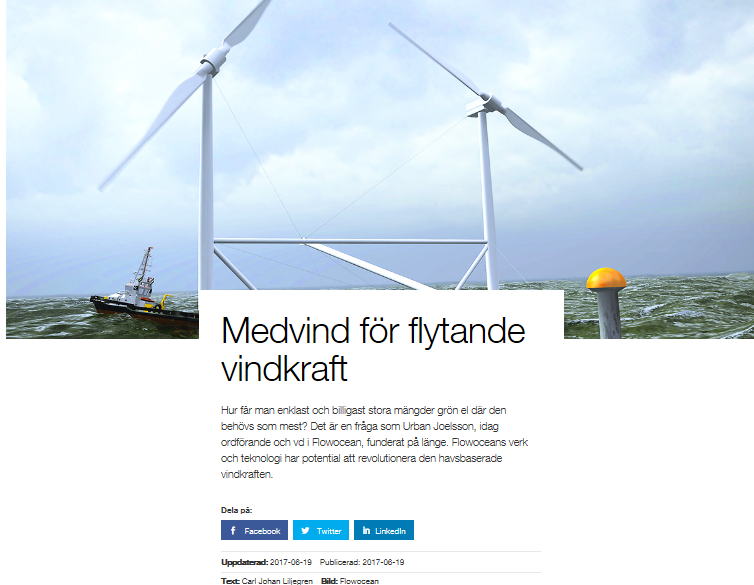 Flowocean’s technology have the potential to revolutionize the offshore wind power industry and allow cost-effective clean electricity where it is needed.